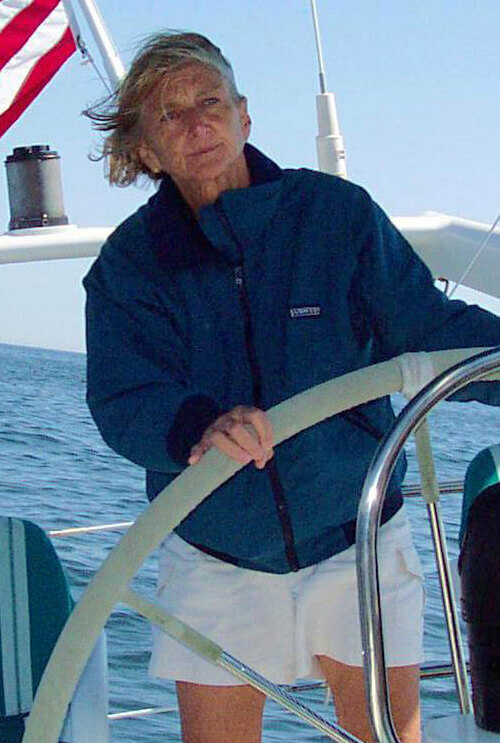 As a child, Pam spent her summers sailing and racing one design sailboats on Long Island Sound. At the age of 16, she clandestinely answered a "Want Ad" in "Yachting" for a cook on a 75' ketch for charter in the West Indies. Needless to say, her parents put an abrupt stop to her plans and it was not until many years later, after four years of college and a tour of teaching in Africa, that she finally ended up working on a charter boat in the Virgin Islands. From chartering, Pam went on to crew and cook on ocean racing sailboats, do deliveries on yachts (power and sail) to various parts of the world, and to cook and crew on research vessels. At one point during this time, she spent six months helping to build a cold molded One Tonner in New England. Pam's "on-the-water" and "hands- on" experience on boats has given her the ability (since becoming a broker in 1979) to help customers determine and find the proper yacht for their needs. She enjoys providing service to her clients, whether in the form of coordinating after purchase projects, finding suitable crew, or taking care of a myriad of miscellaneous details. Her respect for the sea, appreciation of quality yachts, and willingness to go the extra mile, adds another dimension to the Luke Brown team.